Sequins (material) and Superfly? How? I have some - old - sequined materials for Firefly. They render lovely and sparkly in FF but in Superfly they're just dull and ... well not shiny at all. Do you have a material room print of it? I suspect it is one of Bagginsbill great mathmatic shaders. Unfortunately a lot of them like his nylon shader won't work in superfly. In Superfly with Physical Surface the Roughness value is key - the smaller the value the tighter & sharper the highlights will be. Could you post a screenshot of the shader setup? @trekkiegrrrl Anything with a dotted line in the connections is bad for Superfly. So the probe light will have to go. Give me a few seconds and I will see what I can come up with that will approximate that. I am assuming the sequins are not modeled, but are a seamless bump or displacement map. @trekkiegrrrl you want something like this? plug the tile 1 and tile 2 colors into a color thing or make your own colors. This one uses red and blue. Handspan Studios has a Poser Fabric MR that does sequins well in Superfly. Both of the items below are utilizing shaders from this pack - glitter knit (green) and sequins (gold). The only thing I did was tone down the reflections in the glitter knit. @Glitterati3D Great MR thanks for the heads up! @amethystpendant You're welcome, and it is a great pack. In fact, I've never been disappointed in a Handspan MR and I've grabbed quite a few of them. It says a lot that they move so well to Superfly, too. @Glitterati3D Yes they are so simply elegant, I just tried one of the sequins on my Zoe dress and it went straight from day wear to clubbing, excellent, I'll have to have a look at their other stuff, they aren't someone I've come across before and for £6.50 a real bargain! That's really weird when I click on the vendor for this product, that product isn't listed! 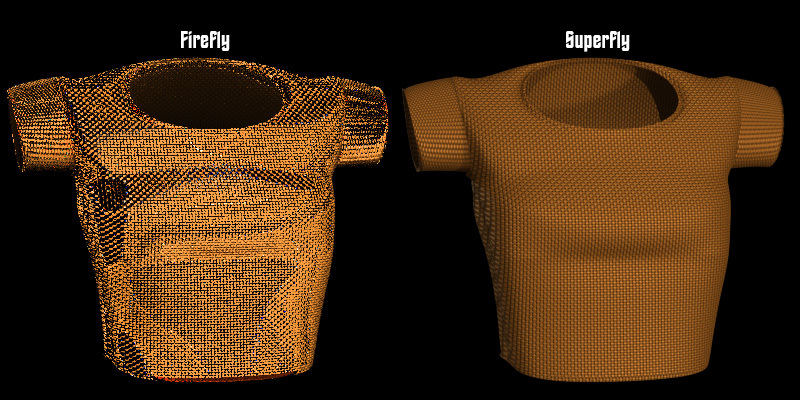 Superfly only procedural using Physical Surface; units set to meters (I don't think this will work in Firefly because of the Cycles Colour Mix nodes). 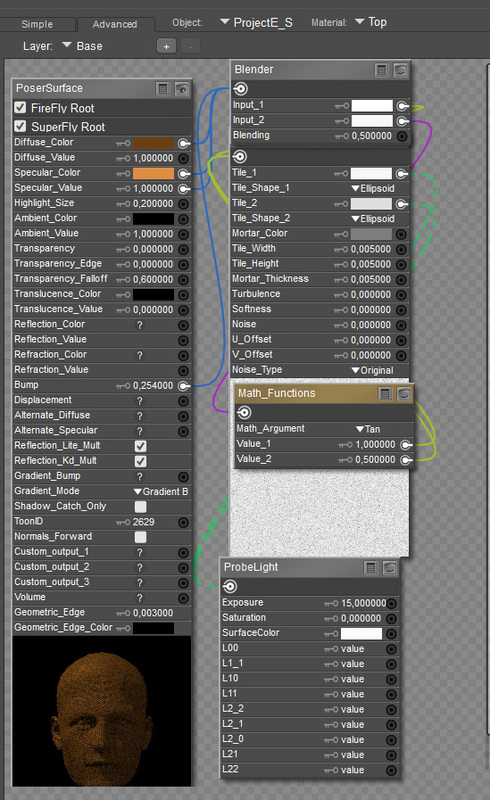 Value_2 of the Math_Function node (set to Divide) controls the tiling amount & was set to 500 for the render. The tiling was set to 250 in the renders below. The output from Mix_3 can be used in Bump & will affect the reflections making the sequins a bit duller (it was a poor attempt to add faceting). @amethystpendant Once you purchase it, you have to turn off the option "Hide the products I own" to see the entire store.